The Foscam E1, is a wire-free battery powered home security camera system that eliminates the requirement for any wires or power sockets. If you don’t consider yourself tech savvy and require a reliable home security camera system that you can monitor from anywhere, then this an ideal solution for you. With its weatherproof IP65 design you can install it wherever you want, indoor or outdoor, no more ugly wires, no more ugly holes in the walls, no waste of a day to install, it’s completely hassle-free! In the past, installing an IP camera system for your home required a professional to do it since it needed cables as well as an extra recorder (NVR) to record and store the video taken. Nowadays, wireless cameras are here to replace the good old wired ones, offering better specs and services. The Foscam E1 is a perfect example that home-surveillance can be installed by anyone. 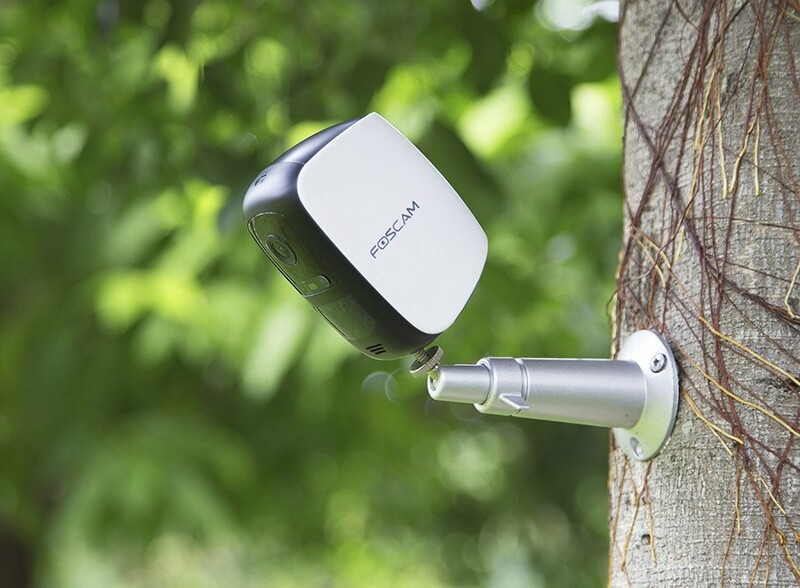 The Foscam E1 is a refreshing take on a market, it works both indoors and outdoors, and is completely wire-free since it is powered by a big rechargeable battery. Also, it offers a free 1GB cloud storage that allows for up to 7 days of recording history to be accessed. Whenever a motion or sound is detected, the captured clips will be synchronized to the cloud for 7 day’s free storage. It supports 1080p video stream making for clear and crisp video. The magnetic mount makes installation and moving around the house super easy. The E1 system consists of one camera and a Wi-Fi base station that is used to connect with the router. You can connect up to 4 cameras to one E1 HUB at the same time. You can also purchase these cameras individually, to completely cover the whole house. Foscam South Africa offers local support together with the international company for peace of mind. So should you consider buying a Foscam E1? If you are planning to use it to keep an eye on your home when you are away, and confused with the complicated settings of those overloaded security cameras then this wire-free security camera should be an option. The camera has a solid feel, looks sleek and modern with a completely wire-free design. It also meets the IP65 weatherproof standard which means you can install it indoor or outdoor with the provided magnetic base, without invasive drilling or wiring required. Powered by 5000mAh rechargeable battery it allows for placement virtually anywhere. 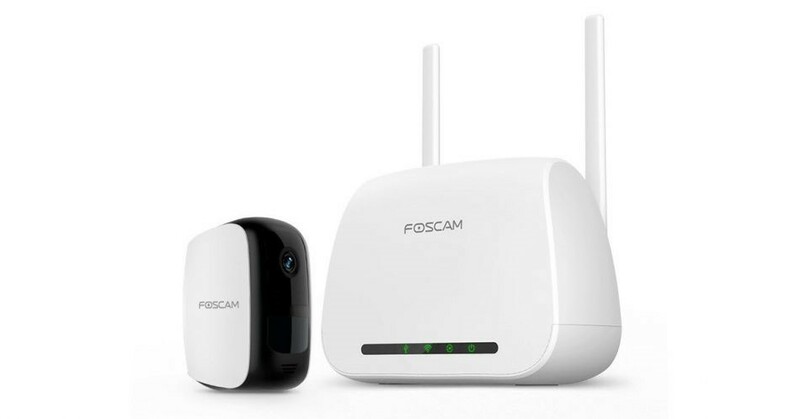 When the battery needs to be charged, the Foscam App will send notifications to your smartphone. You can also check the battery status conveniently anytime right from the App. 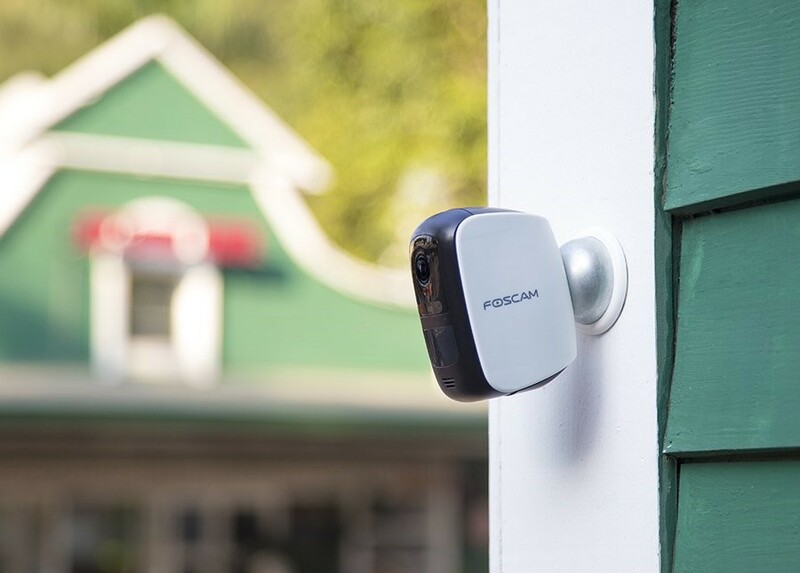 You could use the Foscam E1 as a doorbell camera during the daytime, or leave the camera outside the front door when your away from home, or place it in your little angel’s room to monitor while she is sleeping. However keep in mind that battery cameras like the E1 are good for monitor areas that users seldom visit. For heavy traffic areas we recommend that you rather use a normal DC powered Foscam Wi-Fi camera. This is because high traffic areas will deplete the battery faster. If you require 24 viewing on a screen then battery powered cameras are not the way to. The Foscam E1 supports full HD 1080p (1920*1080) video for live viewing or playback as well as two-way audio so you can talk with your family anywhere using the free Foscam App from your smartphone. Powered by Sony CMOS sensor and Ambrella chipset, the camera brings 110° diagonal angle of view with more sharper and brighter details. This camera features night vision up to 25 feet in low light or even total dark. It has a wide-angle Passive Infrared (PIR) sensor and the advanced human detection algorithm for detecting moving heat objects, such as human or animals. This eliminates false positive movement like branches moved by the wind. The E1 will record the movement then and send a snapshot push notification right to your smartphone. Setting up this Foscam E1 is extremely easy thanks to its strong 802.11n 2.4GHz Wi-Fi connection powered by a Broadcom chipset. The camera comes paired with the E1 Base Station, all you need to do is just scan the QR code with your smartphone and you’re all set! Adding additional cameras to the Base Station is just a tap away with the convenient sync button pairing option. The Base Station comes with USB port where you can connect USB storage to save recordings locally when the camera detects any alarms. Every Foscam E1 comes with free Foscam Cloud Plan. With the free plan, you have 1 GB of Cloud storage that stores alarm video recordings up to 7 days of history. 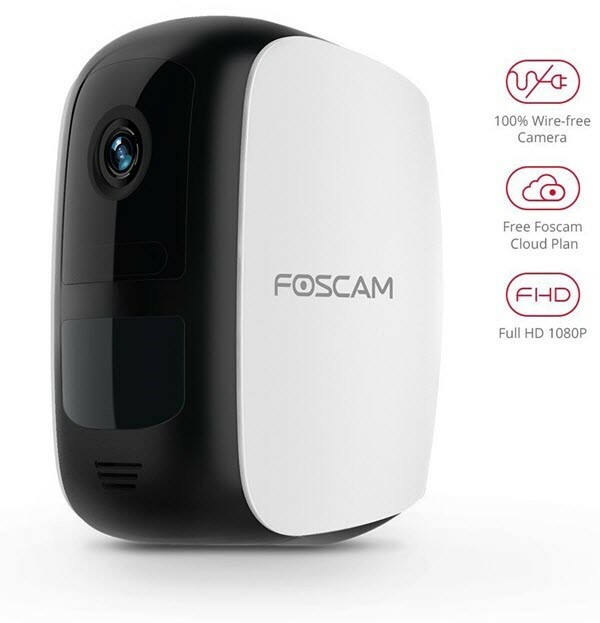 The Free Foscam Cloud Plan never expires for the Foscam E1, includes up to 4 cameras per account. In the box include, base station, camera unit, 5000mAh battery, iron base, USB power adapter/cord, Ethernet cable, screw bag, and quick installation guide. 100% Wire-Free Battery Powered Camera. Long lasting rechargeable 5,000mAh battery. Check the camera battery status right from the Foscam App and get notifications when battery needs recharging. Strong 802.11n 2.4Ghz WiFi connection powered by Broadcom chipset between camera and base station. 7 Days of Free Foscam Cloud storage plan with up to 1 GB data space included with this kit. Live stream and access trigged video clips from your Foscam Cloud. Supports up to 4 wire-free cameras. Developed on US-based Amazon Web Service server, Foscam Cloud is a high-level encrypted, secure and privacy protection solution. Full HD 1080p Live View & Playback thanks to powerful Ambarella main chipset and Sony CMOS sensor. Night vision up to 25 feet in low light or even in the dark. 110° diagonal angle of view. Two way audio through the built-in mic and speaker from Foscam App. IP65 level certificated weatherproof. Operating temperature 32 degree to 131 degree Fahrenheit. Up to 4 battery-powered cameras can work with one base station. This camera comes paired with E1 Base Station. Advanced Human Detection algorithm and wide-angle Passive Infrared sensor (PIR) detect human movement.